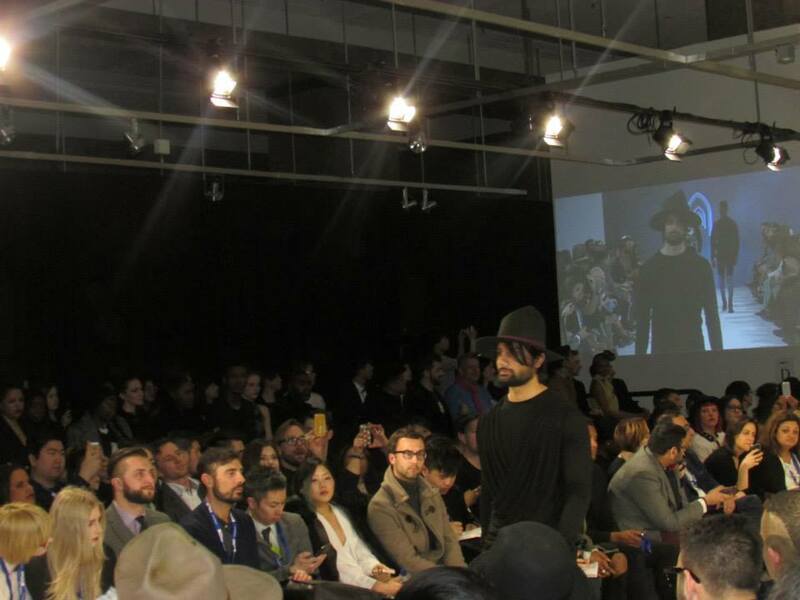 Toronto Men’s Fashion Week brought together some of the best in Canadian menswear together for 3 full days of 16 shows. They concluded their second season at 444 Yonge Street, the venue they now call home. I was fortunate enough to attend 12 shows of incredible fashion with the most elite, fashionable crowd. 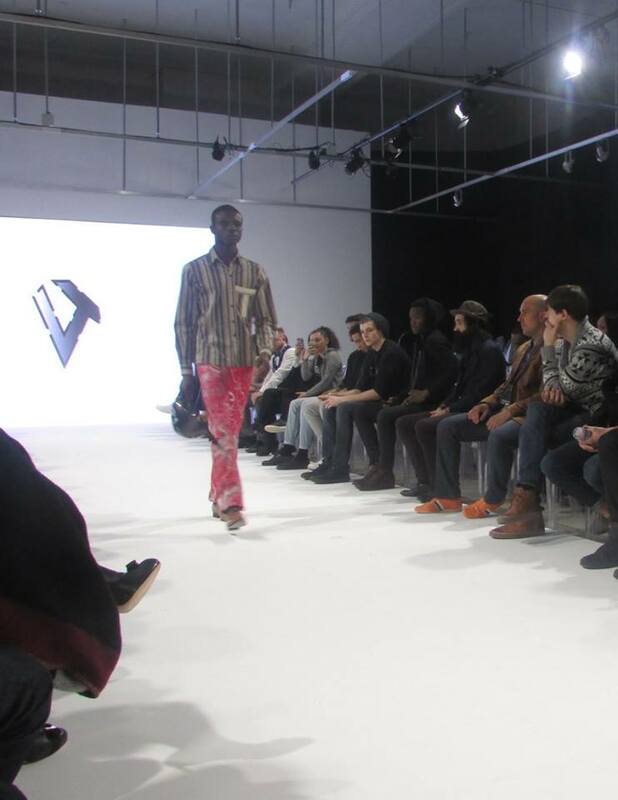 The designers ranged from custom fit suits, street wear and outerwear. 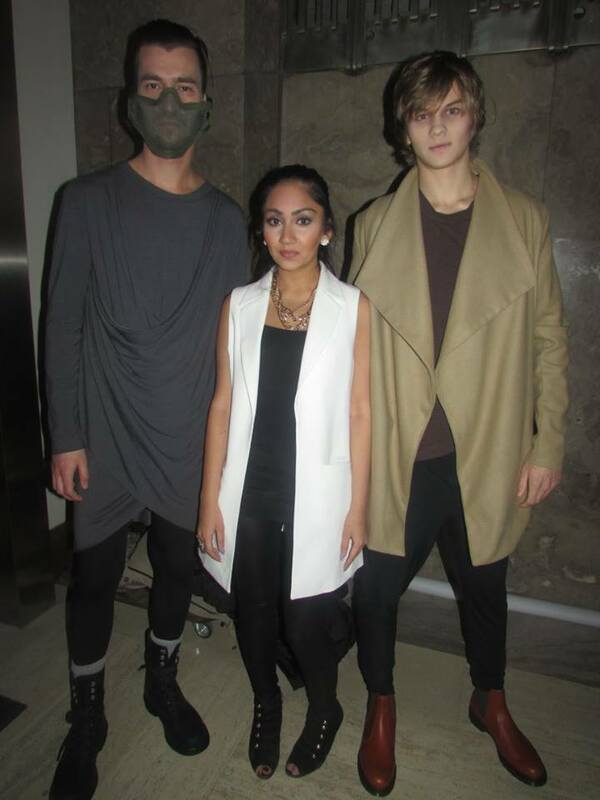 (See all the pictures from the shows and parties on Facebook.com/AlmostFashionable). This was my first show of the week and WOW what a way to get my week started. As Paul Mason opened the show, you can hear the entire runway gasp in excitement. 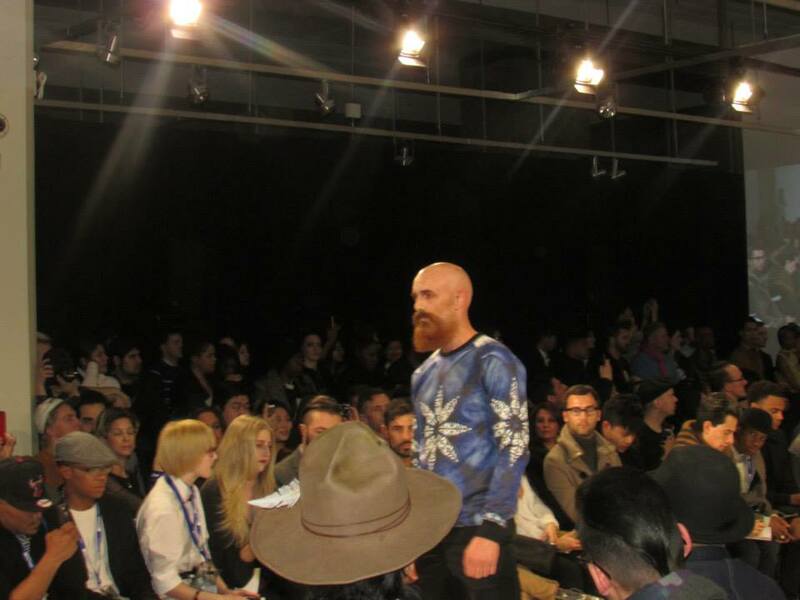 Not only was he rocking his famous white beard but he, along with all of the models wore statement furry white brows and contoured face so strong even Kim K would be jealous. 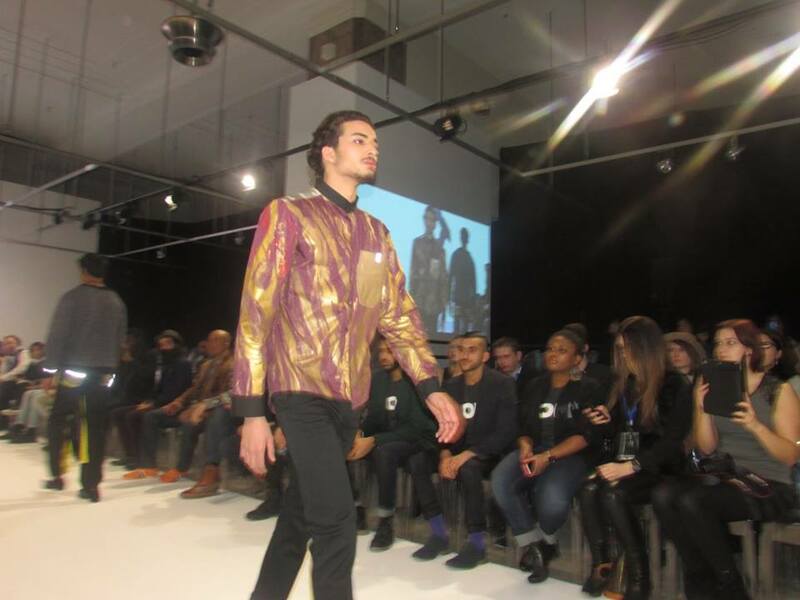 His collection was very inspired by majestic strong royal men which was very evident in the deep reds and purple capes along with classic neutral black and white pieces. I was fortunate enough to speak with Alan Ta after his show to get a more in dept look at his vision. 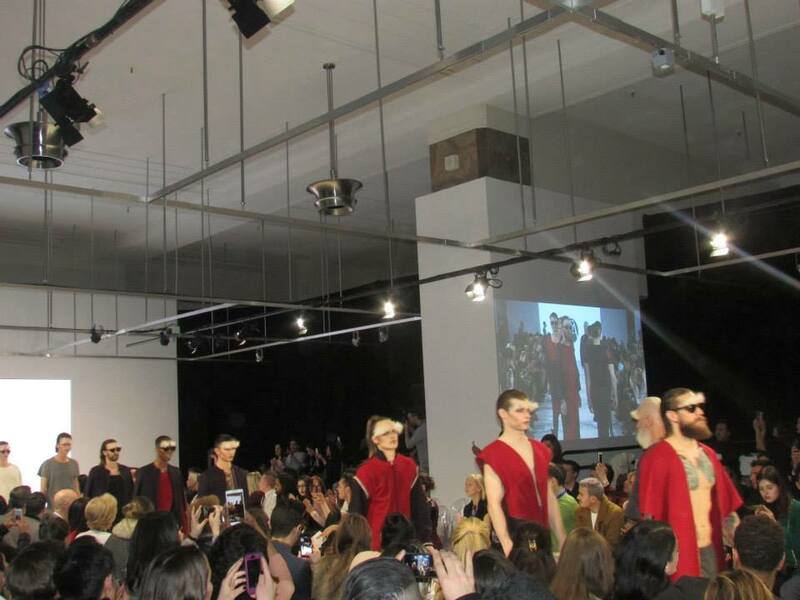 This collection was inspired by very masculine, royal, majestic themes – hence the deep hues, capes and fierce makeup. A style icon that inspires Alan and whom he would love to see wearing his clothing is David Beckham, who is fashion royalty if you ask me so this collection fits him perfectly. This was definitely one of my favorite collections throughout the week, I am so glad it was my first show. 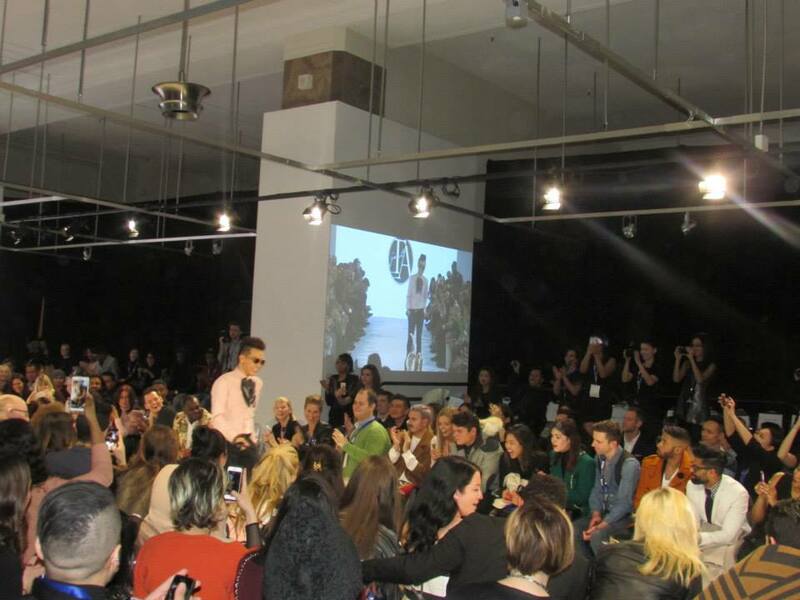 PS if you think the crowd was wowed by the models, Alan Ta closed the show doing his strut with a hush puppy! 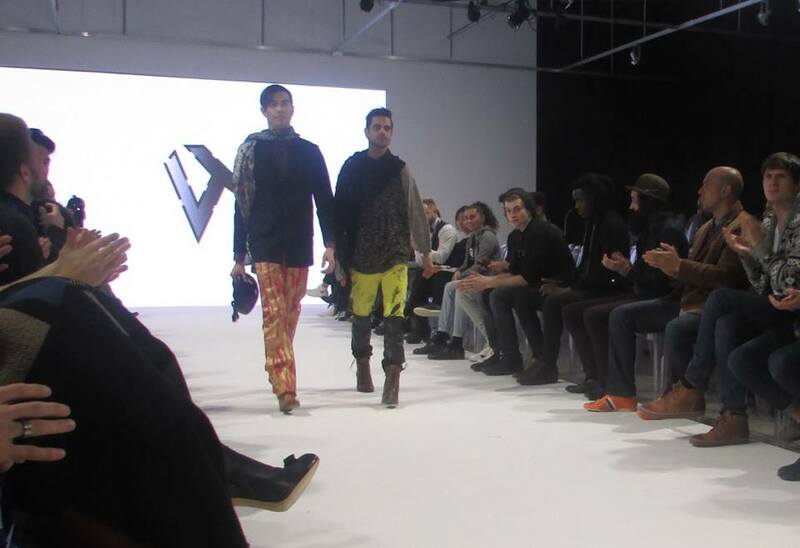 Closing the first day of shows was Joao Paulo Guedes with Fall/Winter collection. 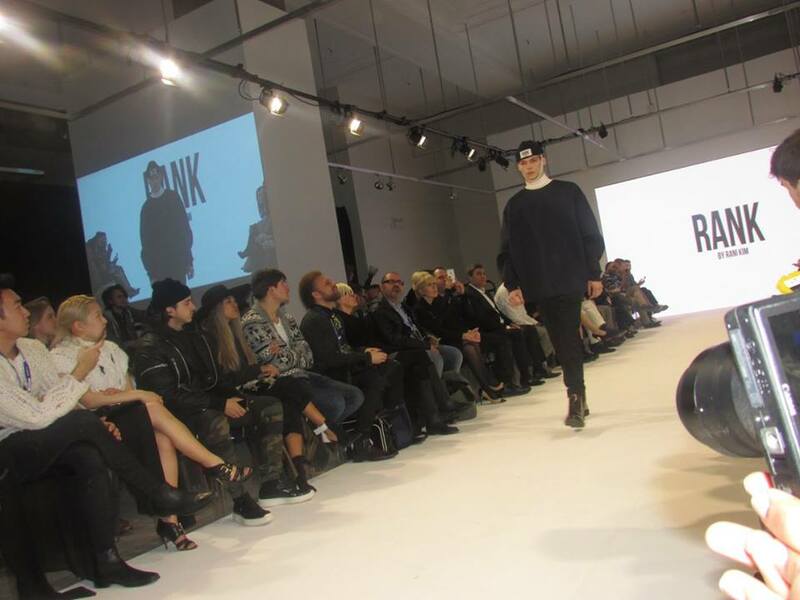 His show started with a short, dark film that transitioned perfectly into his collection. One of the most beautiful, artistic places to be are in historical, old churches with rustic paints and glass art that is mesmerizing. This collection was the most brilliant mix of the artistry in churches mixed with a very dark gothic feel that had the entire runway in awe. Some of my favorite pieces from the collection which I truly believe cannot be described in words of its originality and beauty. 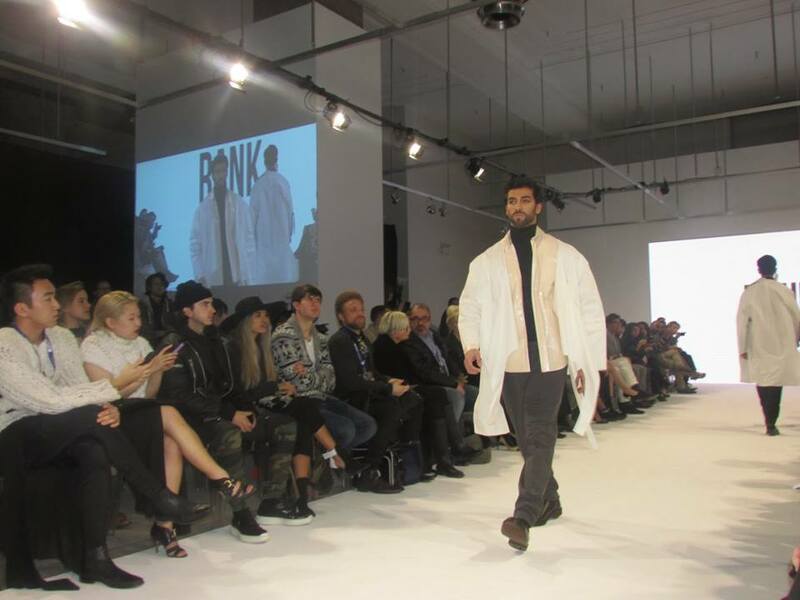 Day 2 of shows began with Raj Gill showcasing his collection, Venturist Commuter Wear an extremely original and unique look at men’s fashion. Raj Gill has been cycling since he was a child and had fashion in his blood from a very young age as well. He combined his two loves that came together to make this collection for a cyclist/commuter in mind. 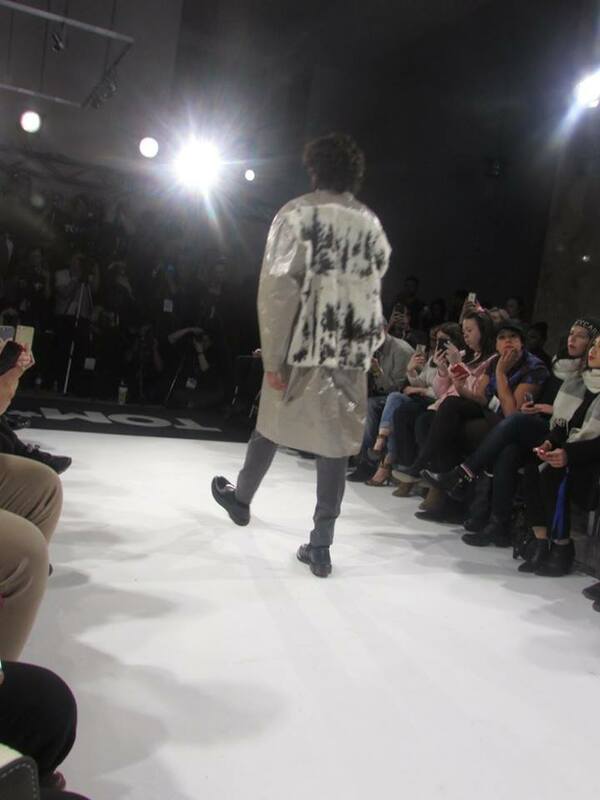 His collection not only showcased the practical side but a very fashion forward looks. Not to mention his runway music included Michael Jackson to give the fun, modern feel to it that had the runway smiling and bopping to it. 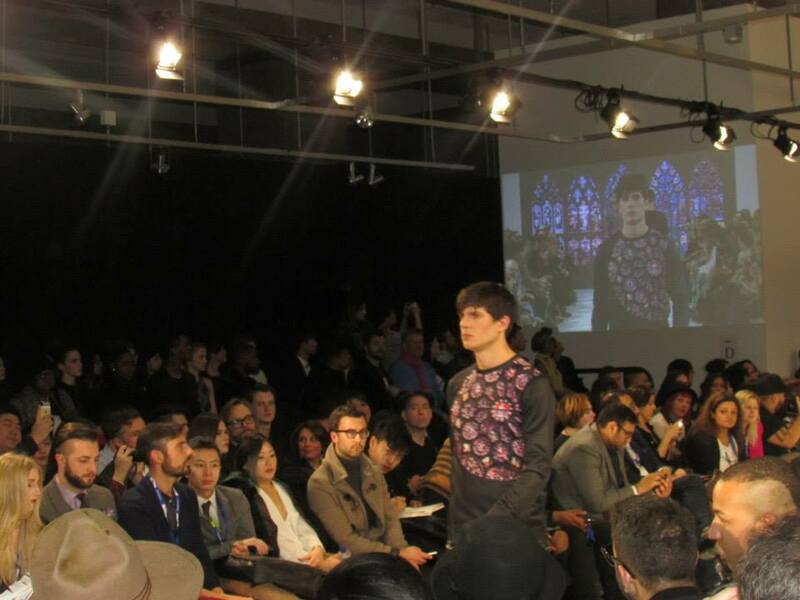 Rani Kim was one of the few female designers showcasing her menswear collection during TOM*FW. We really don’t need to discuss a female’s age but let me just mention she is under 25 and the talent she has at such a young age is admirable. Rani has always been inspired by menswear, she gravitated towards the men’s department whenever she was shopping for herself so that led her into designing menswear. She described her collection as street wear meets crazy scientist. It had the structure, boxy feel with a wearable street style feel to it. Just in case you didn’t feel like it was street wear the music playing was head bumping hip hop music. I really love the way designers connect their collection with music, it really puts the entire show together so well! One of the shows I was most anticipating was by designer Patrick Solanga because of the amazing collection he showed the season prior. I was fortunate enough to chat with Patrick after his amazing show and dig in deeper of his inspirations and vision. The visionary and creativity in his collections proved that he is a designer to be watching out for. Patrick is able to gather inspiration from anything and everything in his daily life, whether it’s out with his friends or watching movies. This collection in particular was very inspired by artillery, military and army fashion paired with face masks used in his previous season. One of his celebrity inspirations, someone who he would like to see wearing his collection was Jared Leto and let’s be honest, Jared with his scruff and long hair could be a poster for Patrick Solanga’s collection! His collection was absolutely breathtaking and beat any of my expectations; I cannot wait to see what he will show next season. 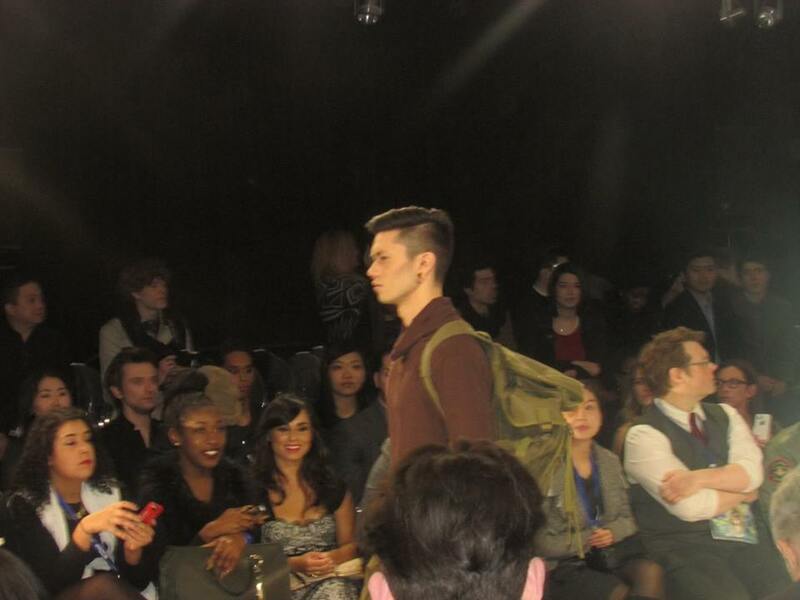 All of the shows during Toronto Men’s Fashion Week were absolutely breathtaking and I cannot wait till next season! To see all the outfits from this week, Outfit Post here! & Opening Night Party here! Don’t forget to check out all the pictures from this fun week on Facebook.com/AlmostFashionable and LIKE my page while your there! Follow me on Instagram @almostfashionable for more fashion and beauty fun!